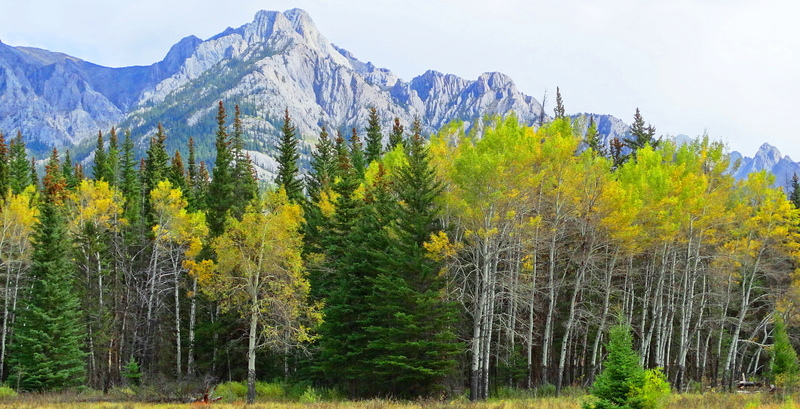 The Aspens are showing their true colors. 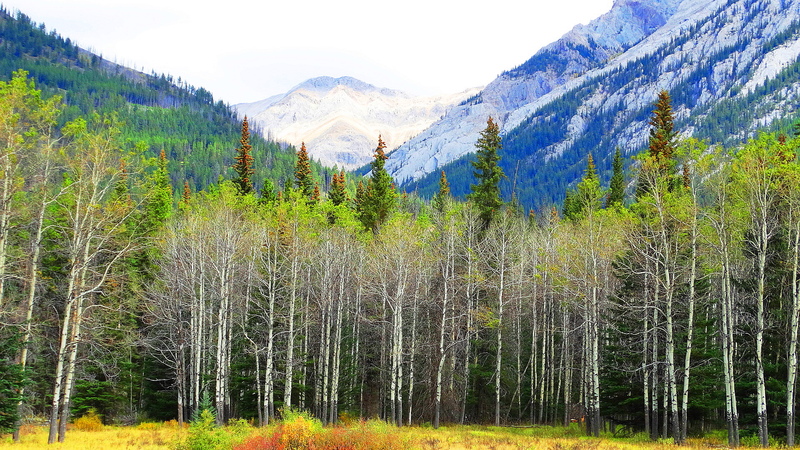 And Banff National Park is holding it’s breath waiting for winter. The air is bracing now with chill. Its time for the bears to sleep, and Jim and I to head home to The Holler. We must leave before snow blankets the park and avalanche threats make the roads a challenge. Cheers to you from the last days of autumn! ← Our Little Cabin in the Big Woods! Dear Cindy,when did you take all these photographs? You are very kind and your comments are most appreciated! Gorgeous and vastly majestic–you must end the day completely in awe and completely spent. That would be great. I love tea! Beautiful pictures! Do you know the name of the trees (white trunk ones)? 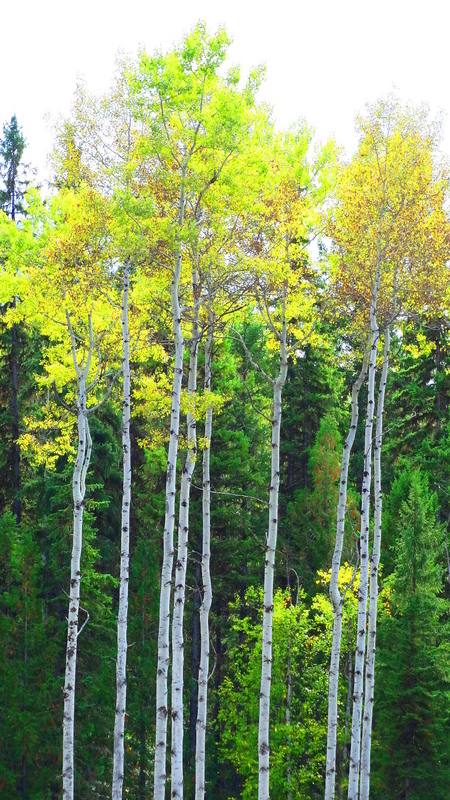 I mix up birches and aspens…..I think these are birches because they are so tall, but I am not sure. Anyone else know???? Wow I could spend eternity in this area – just stunning. Winter is coming and it will be fierce! i am thinking it will be. we have had an easier summer and last winter was not soooo bad – i am thinking we may be due…. So eloquently stated! National Parks are so important and now our US ones are closed robbing people of fall vacations and losing needed revenues. When will we grow up? Your government seems to be in such a mess, it is unbelievable to see it all unfolding on our news channels. Such a beautiful place. Great photos as usual. Thank you Alison. I was enjoying your photos and narrative about Mexico City! I love your little world!! Just gorgeousness!! Just beautiful. I love the sound the aspens make. Fabulous photographs. [ Smiles ] Lovely pictures of the outdoors! So happy you think so! Travel safely it is wild out there! You captured some wonderful color combinations. These are beautiful pics, I am still on the look out for the fall foliage, but this warm weather has put a stop to the changing of the leaves around here! Maybe you will get a burst of late fall color! Yes, the rain is here! And we are in draught with 30-60% chance of rain Wednesday, the first in almost a year! I love the tall first picture, and the birches. Very beautiful. So these are birches! Taller than aspens?? 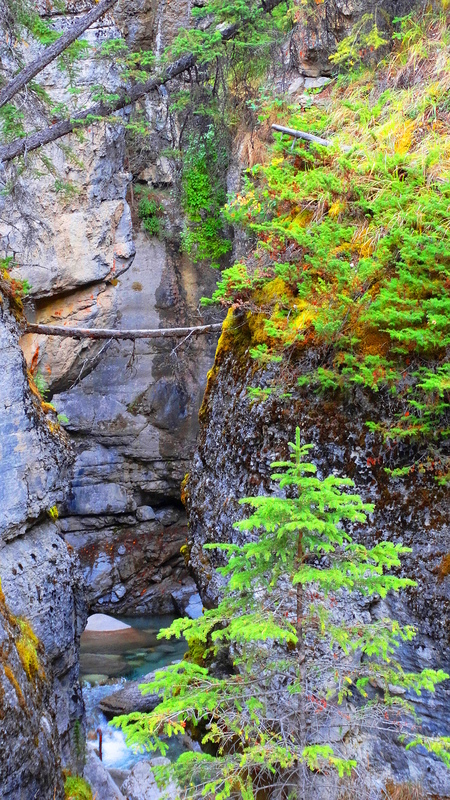 I love the raw physical beauty of our land…you did such a wonderful job of capturing that, great photos. Stunning! It must be getting cold now! What a wonderful trip. I get the feeling that you wouldn’t mind curling up and hibernating in that cabin in the woods. I remember visiting Banff oh sooo many years ago. Thanks! I know how you feel!!!!! This would be heaven for me with all these beautiful trees. Thanks for sharing. I’ve marked the map to be sure to visit this location. Cindy, your titles are always as good as your photos….! 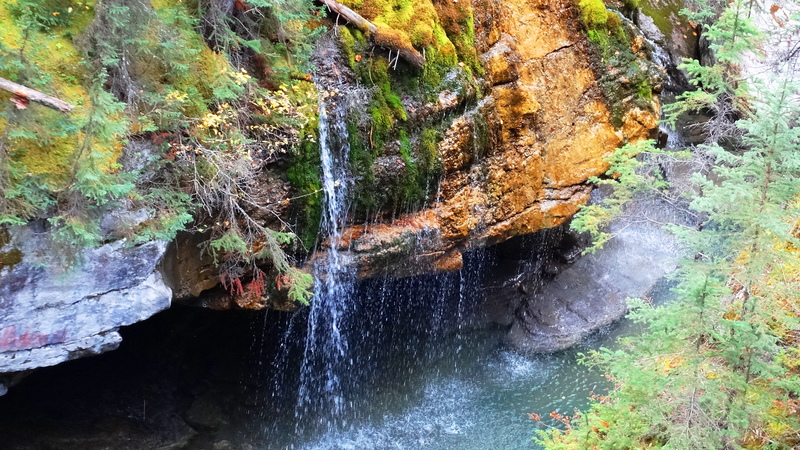 Beautiful photos, Cindy, just in time to put us good and solid in the mood for Fall! Such majestic trees. They remind me of the silver birches in my country. So these are birches? 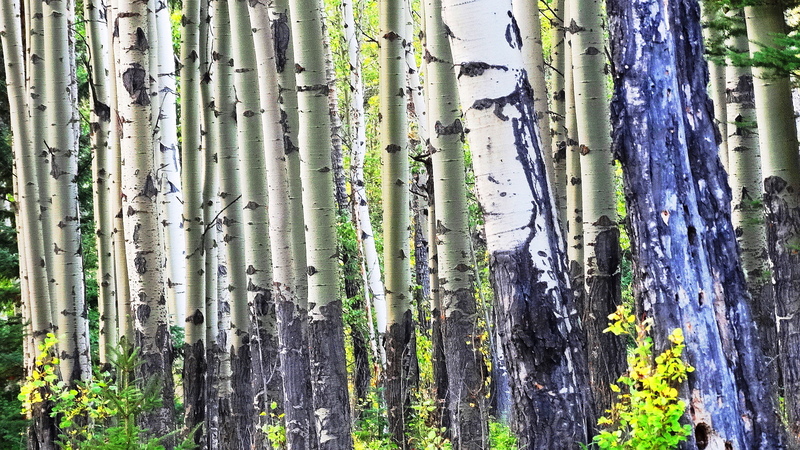 Are birches taller than aspens? They do look similar and can grow to a similar height but they are different trees, I think. The pictures are beautiful. Fall is my favorite season. Me three & thank you! More stunning pictures, Cindy. Fall is one of my favourite times of year. The colours are always so beautiful. The color of the leaves of the threes kept my attention, so spectacular ! Funny you should say that…I’d just been thiniking the same about your gorgeous blog! Wish I was there but seeing the photos is a close second! Cindy, essas fotos são especiais pra mim. Lembra-me algo que nem eu mesma sei o que é.